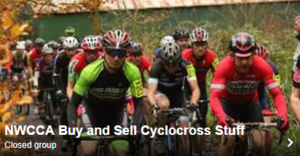 Macclesfield’s Paul Bethell (Team Elite/Paul Bethell Electrical) dominated the main senior event at the Rhyl CC Cyclo-Cross Races supported by Rhyl Town Council and Denbighshire County Council on Sunday. He recorded his second win in successive years at the Glan Morfa Country Park on Marsh Road, leading from start to finish in commanding style, and extending his advantage continuously over second placed Giles Drake (Colnago / Microshift / Skins) during the hour long slog through the mud. Third place went to Sport City Velo rider Martin Woffindin, and local riders Simon Price and David Cooil (VC Melyd), Fergus Murray (Rhyl CC) and Prestatyn’s Mark Baker (Deeside Olympic) all battled on to the chequered flag on a new, larger course. Rhyl Mayor Margaret McConnell flagged away over 100 riders in this, the only North Wales leg of the winter North West Cyclo Cross League. Dan Evans (Rhos-On-Sea CC) was unlucky to miss out on a high placing after having mechanical problems late on in the senior race following 10th place in the previous day’s round, the Geoff Bewley Memorial Cyclo-Cross in Liverpool. Chris Lawless (Sport City Velo) won in similar style to Bethell in the U16 race, and the closest battle of the day was in the U12’s between Tomos Owens (Mid Shropshire Wheelers), Joe Armstrong (Border City Wheelers) and St.Asaph’s Sol Kerfoot-Robson (Rhos-On-Sea CC) with the former just taking the win despite a plucky attack on the last lap from Robson. Also please note that Cal lost a jersey grey Altura long sleeve yesterday – if you have any info please contact him on please 07791 883 421.